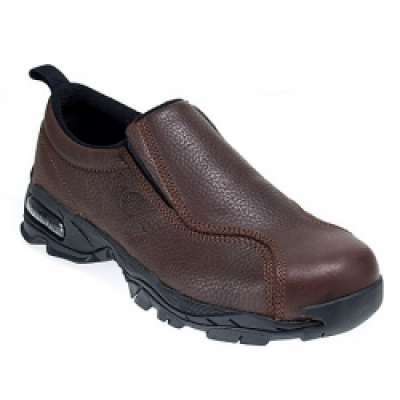 A laid-back style and sleek moccasin design make these Nautilus 1621 Women’s Steel Toe Brown Slip-On Shoes good looking. However, it’s the innovative, work-ready safety and performance features that make them a must-have. 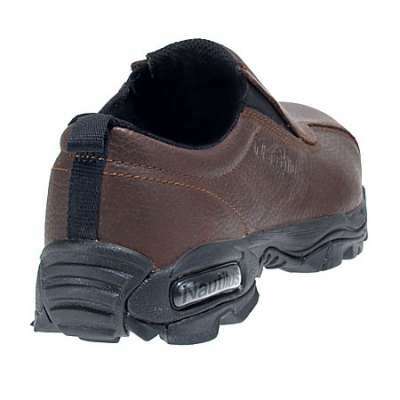 The full-grain brown leather uppers of these Nautilus shoes aren’t only sleek, but they’re super durable and water-resistant for job performance and long wear you can count on each day. 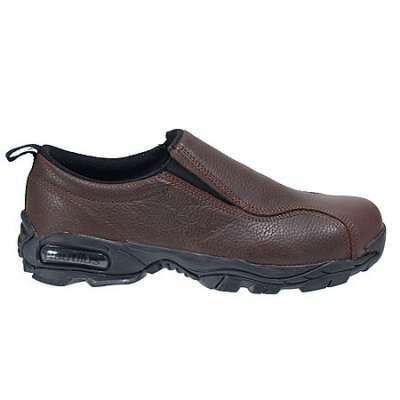 They feature a comfortable and easy-fitting slip-on design that’s sure to keep you feeling as good as you look. But don’t be fooled. This pair is tough. ASTM-approved steel toe caps guard your toes against impacts and other worksite hazards, while the rubber stabilizer outsoles keep you securely grounded with slip-resistance, along with oil-resistance. 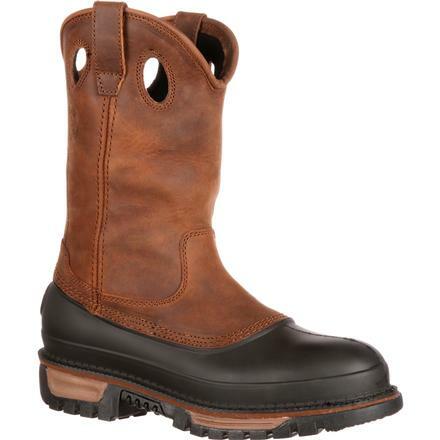 The steel toe caps are ergonomically designed with “wide areas” to give your toes enough breathing room. You’ll also have SD (static dissipative) protection. 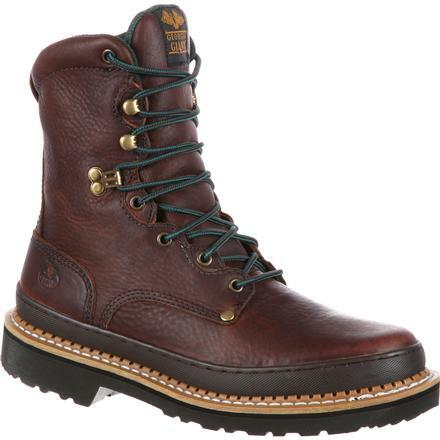 Slip- and oil-resistant, the rugged outsoles are even static dissipative to keep you safe from shock. This also protects nearby electronic equipment. 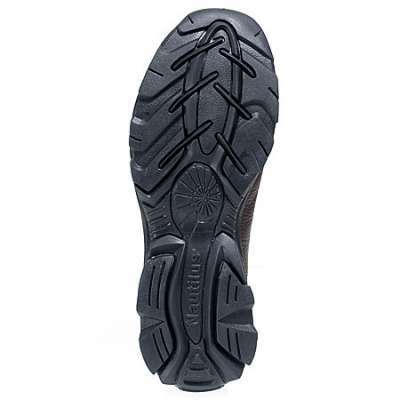 Inside the steel toe shoes, you’ll find removable anti-fatigue insoles which cushion each step you take and absorb shock for all-day comfort. They work well with the EVA midsoles to deliver unbeatable support. 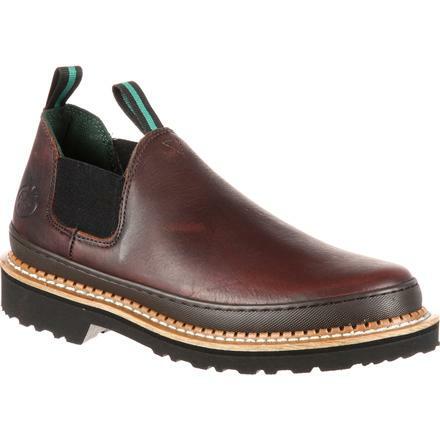 To meet your workplace requirements for scratch-resistance, these women’s shoes have no exposed metal.